The Defense Department announced on Thursday it would delay notices on civilian furloughs for two weeks to assess the budget impact of legislation approved by Congress to keep government open this year. Pentagon Press Secretary George Little said in a statement Defense would be “delaying the issuance” of the notices to “carefully analyze the impact of pending continuing resolution legislation on the department’s resources.” The measure, which was headed to President Obama’s desk to be signed, funds the government through the end of fiscal 2013 on Sept. 30. “We believe the delay is a responsible step to take in order to assure our civilian employees that we do not take lightly the prospect of furloughs and the resulting decrease in employee pay," Little said in a statement. Across-the-board budget cuts from sequestration were expected to force nearly 22 days of furloughs on hundreds of thousands of Defense Department civilians, who were expecting details of the unpaid leave arrangement by Friday. The legislation passed on Thursday shifts some resources at the Pentagon, including nearly $10 billion to the military’s operations and maintenance accounts, according to the Associated Press. 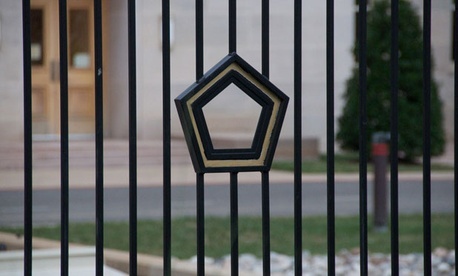 Pentagon spokeswoman Lt. Col. Elizabeth Robbins confirmed to Government Executive the department’s original schedule for furloughs would now be moved back by two weeks. Furlough notices will be hand delivered on April 5, and furloughs will begin no earlier than May 6, she said. Robbins told Reuters the department was “enthusiastic” about the additional flexibility the CR provides and that it may allow officials to reduce the number of civilian furlough days. As many as 10 percent of the Pentagon’s civilian workforce may be exempted from furloughs, a senior defense official told the Associated Press. Representatives for the Army, Air Force, and Navy previously told Government Executive that civilians working in fire, public safety, and health positions already were exempt from furloughs. The announcement furlough notices would be delayed comes after Deputy Defense Secretary Ashton Carter told defense ministers in Jakarta, Indonesia, that he expected sequestration to be “temporary,” and that it would last only through October of this year. He emphasized that sequestration and other budget cuts would not compromise the administration’s pivot toward Asia.